We are the only commercial wasabi grower in Oregon. 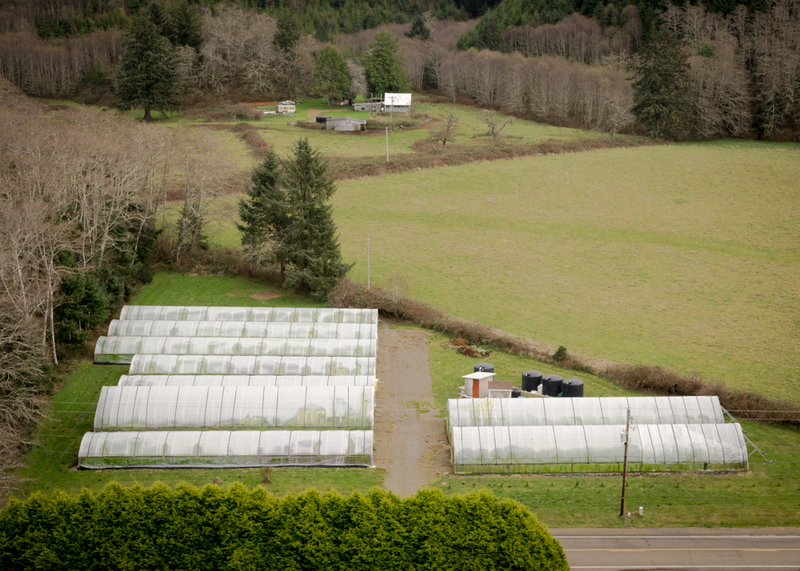 Our farm is located on the Oregon Coast where the climate is optimal for wasabi cultivation. It is humid, constantly cool and is blessed with pristine forest streams. With this ambient climate and our proven growing methodology, we replicate the cool alpine stream environment of the Japanese mountains, which is wasabi’s natural habitat. Using the water-grown method, Oregon Coast Wasabi produces a superior product to some Asian-imported wasabi and of equal quality to the highest-grade product grown in Japan. Our farm - the stream is just behind the greenhouses. Our stream. It is a short-stretch coastal stream with no users but the Oregon Coast Wasabi Farm. The water is absolutely pristine.